More than a decade ago, Darryl Wharton-Rigby set out make a gritty film about drug addiction in his native Baltimore. Amazingly, that core idea evolved into Stay (2018), an atmospheric love story with a mostly Japanese cast. The romantic drama had its West Coast debut at the Dances With Films festival in the historic TCL Chinese Theatre. Wharton-Rigby isn’t a Hollywood carpetbagger flying into Japan for an exotic backdrop. The veteran Homicide scribe paid his dues there teaching high school, studying taiko drumming and making short films that handle cross cultural issues with sensitivity. In Stay, Ryu (Shogen) is at a low point. He’s working hard at a fish processing plant but gets fired when his boss learns of his drug conviction. The same could happen in the U.S. but in Japan the taboo is especially strong. Ryu was a “salaryman” (executive) but now can’t even keep a factory job. In Japanese society, he’s a non person but an extremely good-looking one. At a Shinjuku district bar, he has a quick hook up with Hope (Ana Tanaka), a beautiful English-speaking foreigner. Once the heat of the tryst cools down, she’s aloof and makes it clear it was a one-off with the hot local. Disappointed but not crushed, Ryu heads home. On the way, he runs into a pair of old friends Bo (Shima Ohnishi) and Risa (Natsuhi Ueno) who try to entice him back to his old ways. He demurs, for the time being. Like in Before Sunrise (1995), there’s a ticking clock that adds urgency to the budding cross cultural romance. Besides that, she’s a casual drug user, another source of conflict since he’s determined to stay clean. 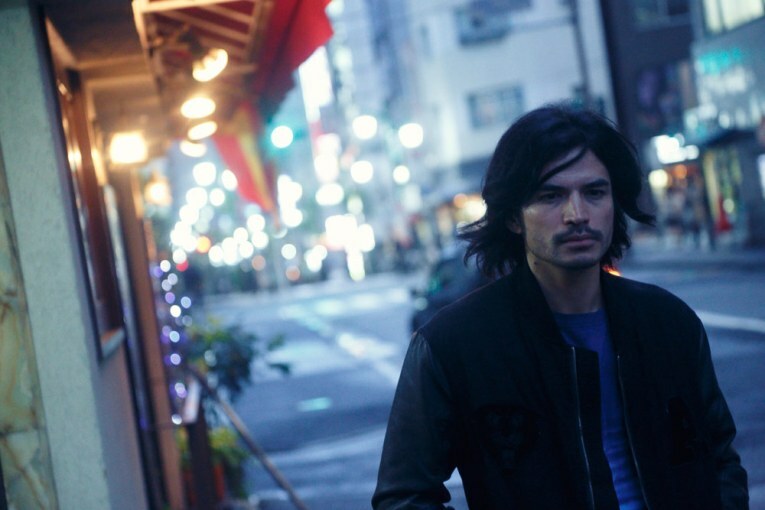 Beautifully shot by Jeremy Goldberg, Stay shows a side of Tokyo rarely seen in American movies. At the Q&A, executive producer Christopher Rathbone revealed that Goldberg filmed many of the exteriors guerrilla style with the Blackmagic Pocket Cinema Camera. Editing is by Yukako Shimada. The soundtrack featuring Japanese pop rock adds to the emotional wallop of the film. This entry was posted in Events, Movies and tagged Ana Tanaka, Darryl Wharton Rigby, Shogen by crimsonkay. Bookmark the permalink.